Most of our remodeling clients come to us seeking more than just cosmetic updates to their homes. We are often called upon to create additional living space for families that is more functional and better-suited to the family’s lifestyle. Such was the case with a recent basement remodel in Seattle’s Wallingford neighborhood. When looking to add additional square footage to a home, remodeling a basement is often the simplest and most cost-effective way to add additional space. CRD Design Build specializes in basement remodels and dig-downs to create a daylight basement space or accessory dwelling units (ADUs.) 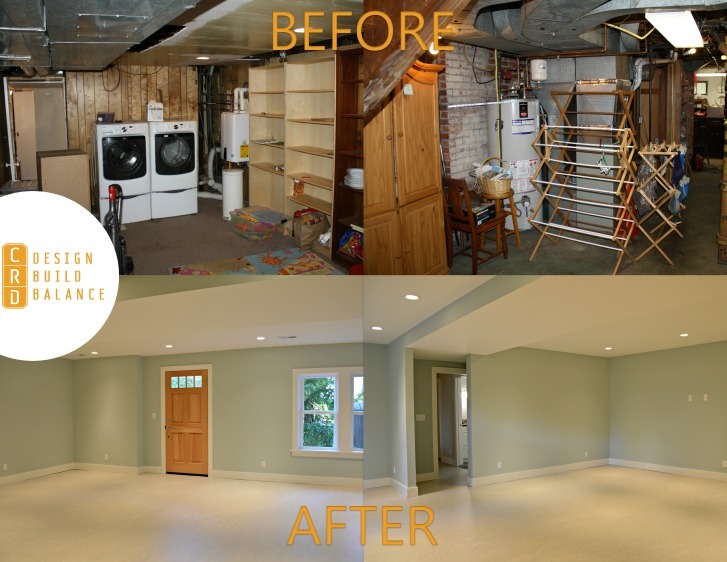 With this Wallingford basement remodel, instead of creating an ADU, we added to the family’s existing living area by creating a large play space for their young son as well as a working office space and an updated bathroom. Like many older homes in Seattle, this home’s existing basement had low ceilings throughout much of the space. CRD dug it down to create an even amount of generous headroom throughout the entire footprint of the home, which helped to create an immediate transformation from unlivable, dark basement space to an open, bright area that serves as an extension of the main living area. 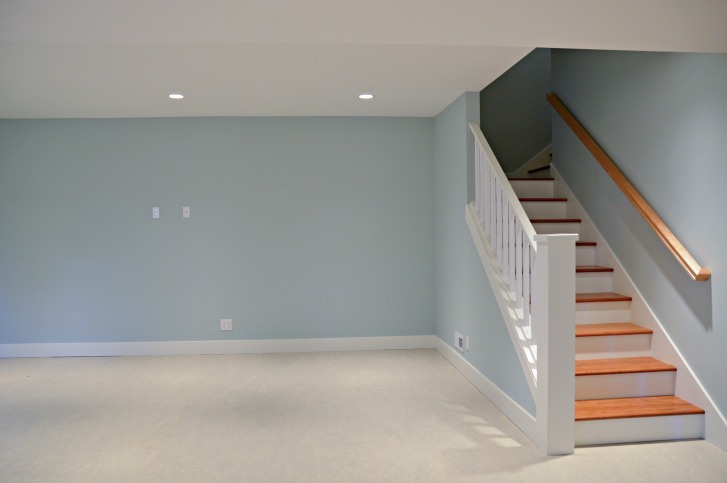 We just completed a substantial basement remodel through CRD (including a dig down and removing supporting walls). The process went incredibly smoothly from design through the final inspection. CRD communicates well, they stay in budget (our only overage was due to extra electrical work that could not have been verified prior to cutting into the walls), and take immense pride in their work. Their lead carpenter on our job - who essentially lived with us for 5 months -- was wonderful and trustworthy and soon became an idol for our young son. CRD responded to inquiries/issues quickly (one weekend we found we did not have hot water and the owner came over within an hour to resolve the problem immediately). We will definitely be using CRD for our future projects and are happy to refer them to others! Just yet another example of how thoughtful planning, design and production by CRD helps to create an ideal lifestyle for our clients.